The winners of the 2017 MacNamee Awards have been confirmed by the GAA. The GAA National Communication and Media Awards are named after the late Pádraig MacNamee, former President of the GAA, Chairman of the GAA Commission (1969-1971) and member of the RTÉ authority. They are presented annually in recognition of outstanding contributions made by individuals and Association units in the area of media and communications. 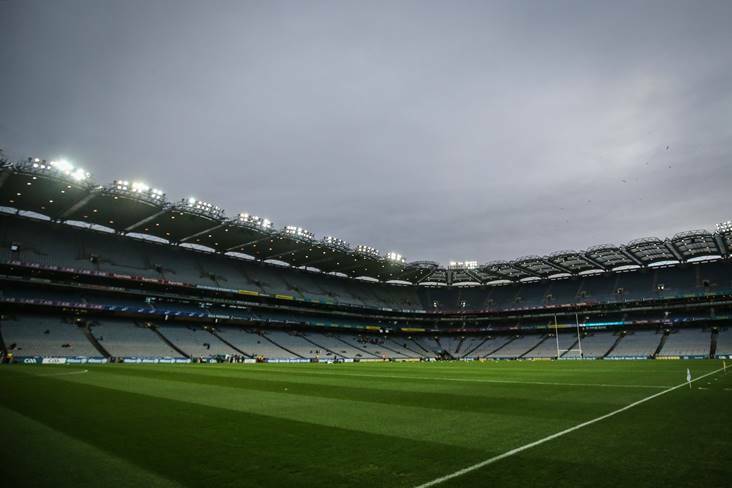 The awards will be presented by GAA President John Horan at a function in Croke Park on Thursday next, March 29th. Horan offered his congratulations to this year's winners: "From its earliest days, the GAA was very conscious of the need to have media coverage and media support for our Games. "Little did Pádraig MacNamee or indeed anyone else realise at the foundation of these awards just how dramatic the changes would be in the Irish media landscape. "Throughout all that change and evolution in the media across so many platforms, the need for the GAA voice to be heard and our activities to be comprehensively publicised has remained constant. "I know how treasured these MacNamee Awards are among the media and I congratulate all of those honoured here. I also want to acknowledge the Clubs here for the obvious pride shown in their local story and commend them for the effort they've put into its presentation." 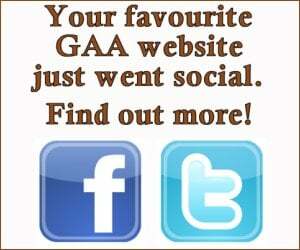 The St. Peter's GAA Club website is truly best in class. It has been built with a strong focus on user journey, but most importantly the club must be commended on their attention to detail and their site content upkeep. The addition of Warrenpoint GAA TV is testament to this Club's understanding of online content. Provincial Media Award - The Donegal Democrat - "Donegal '92 History Makers"
The Donegal Democrat celebrated the 1992 All Ireland winning champions with an in-depth magazine recalling a famous and silverware laden campaign under Brian McEniff's stewardship. Packed with interesting interviews, player profiles and photographs the Donegal Democrat's supplement is a classy and comprehensive account of Donegal history. Vincent Hogan's interview with Galway hurler, Joe Canning, published in the Irish Independent on Saturday, August 5th last year, was everything a great interview should be. Canning was disarmingly honest and open, which is a credit to the author who must have successfully built up an early rapport with his subject and then asked the right questions at the right time. Canning has been in the public eye for a long time and spoken to the media on countless occasions, but we learned more from this superbly written piece about the nuances of his personality and what really makes him tick than from any other interview heretofore. His revelation that his main motivation for playing hurling is to make his parents feel proud and see a smile on their faces after a game surely struck a chord with every reader. We read about the very human side of Joe Canning in the Irish Independent that Saturday, the following day we witnessed the superhuman when he inspired Galway to victory over Tipperary in the All-Ireland semi-final with one of the greatest match-winning points of all time. This County Final match programme was beautifully styled, containing a trove of statistical details as well as excellently written editorial. The use of old and current imagery embellished the publication. There was a fastidious adherence to an intelligently structured design and the full-colour publication was creativity produced. 2017 Best GAA Related Radio Programme - LMFM - "When Sam Crossed the Boyne"
The programme "When Sam crossed the Boyne" is a documentary looking back at Louth's victory in the All Ireland Football Final of 1957 and broadcast 60 years later on October 30th 2017. This programme gives the listener a chance to re-live the glories of the distant past, this documentary gives a great insight into the ability of athletes and supporters to remember vividly things that happened on the field of sport two generations ago. 2017 Gradam Gaeilge (Irish Language Award) - Focás Films "Poc na nGael"
Scoth an chláir teilifíse inar fiosraíodh an nasc idir an iománaíocht agus an cluiche hacaí-oighir. Bheadh sé furasta a rá nach bhfuil ann ach gur cluichí le bataí iad an péire acu, ach i bPoc na nGael fuair Ger Loughnane amach i bhfad níos mó ná sin nuair a chuaigh sé go Ceanada leis an scéal a fhiosrú. Chuirfeadh an méid a fuair sé amach ionadh ort - go háirithe nárbh iad na Gaeil na himircigh a bhí sáite sa chluiche , ach Protastúnaigh agus lucht Ultaise a chuir futhu thall. Éamonn Ó Cualáin a stiúraigh do Focas Films. A superb television programme that explores the link between hurling and the game of ice-hockey. It would be easy to say that the two are tied through their shared use of the stick but in Poc na nGael Ger Loughnane went to Canada to find out that they share a whole lot more in common. What he found out was a cause for surprise - not least that it was not Catholic emigrants who were the drivers behind the growth of the game, but Ulster Protestants who helped it put roots down over there. Éamonn Ó Cualáin directed for Focas Films. "The Joe Show" with Joe Canning captures on of the most iconic moments of last year's hurling Championship as Canning celebrates scoring the winning point during the GAA Hurling All-Ireland semi-final between Galway and old rivals Tipperary. This book charts the first 75 years of the Thurles Sarsfields club. Using a variety of sources including internal club records, external local and national archives, newspaper reports and the oral folk memory of the town, the author, Liam Ó Donnchú, has successfully charted the history of the club and its place within both the wider GAA organisation and Ireland itself. The book is meticulously researched, well-structured and illustrated throughout with fascinating photographs. This website was commissioned especially to mark the centenary of the Austin Stacks hurling and football Club. Stacks100.ie is a wonderful tribute to the club's rich history and the people who have played their part in the Club's development. The platform allows the user to dig deep and explore the evolution of one of Kerry's greatest clubs through the use of mixed media. This digital platform is a priceless resource. Tommy began his career with the Leinster Leader as a printswork apprentice in October 1967. As the technology changed, so did his role with the paper and he always took up the challenge and moved with the times. Tommy is the current Sports Editor of the newspaper. He has been an ever-ready commentator on all sports, especially Gaelic games, and he has no hesitation in giving his very forthright and critical opinion on a variety of topics whenever the opportunity arises. When praise is deserved, or when criticism is required, no player, no official from club to national level, and no one at a top table escapes his critical eye, notebook and keyboard.